First, I stopped at a local thrift shop and made good on a 50% off all winter outerwear and got this faux leather jacket for whopping $2.50. I found some gynormous white pants that had a thicker material that I thought would work well for the wings for an extravagant $1.50. 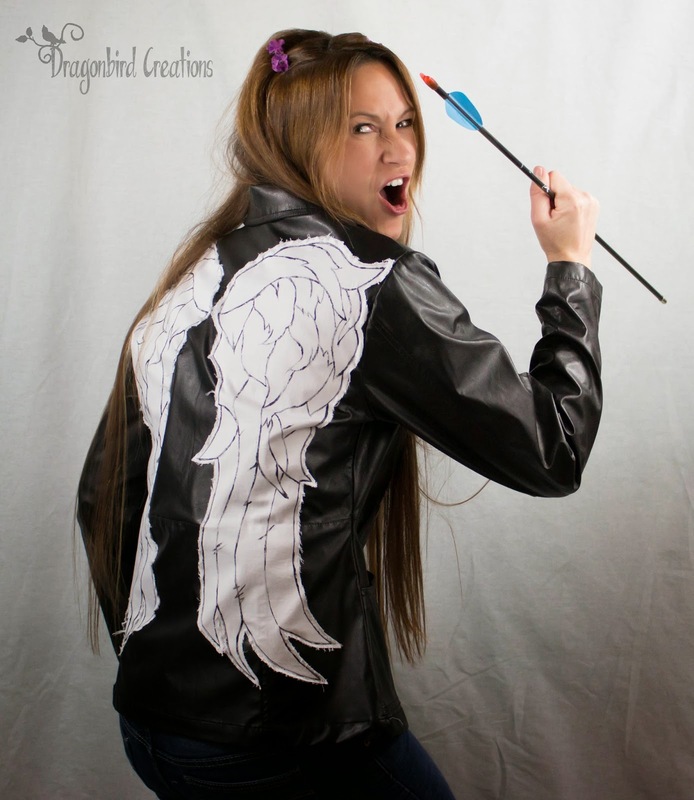 The next step was to take some measurements to make sure I would be making my wings the corret size. 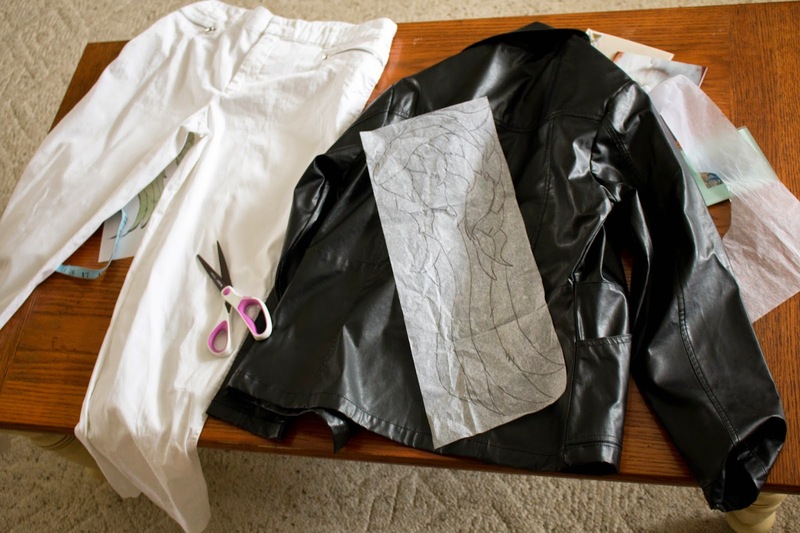 I measured from shoulder to shoulder-the widest part (divided that in half), and also measured from the tallest (where I wanted my wings to begin and end. 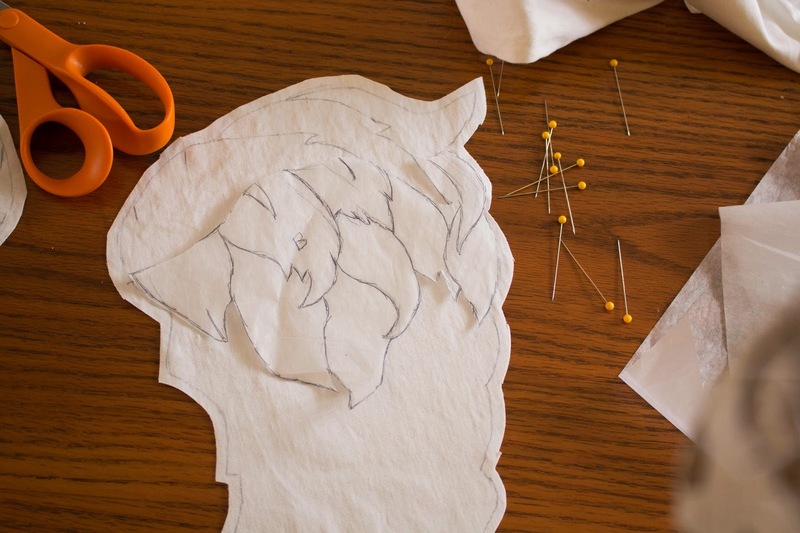 Then I took a sheet of tissue paper and cut it to those measurements and began sketching one wing. 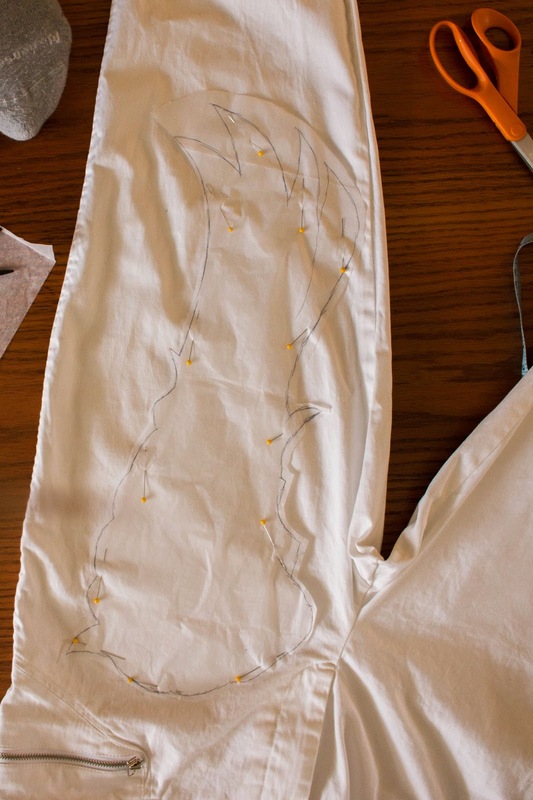 I then took another sheet of tissue paper and traced only the outline of the wing. 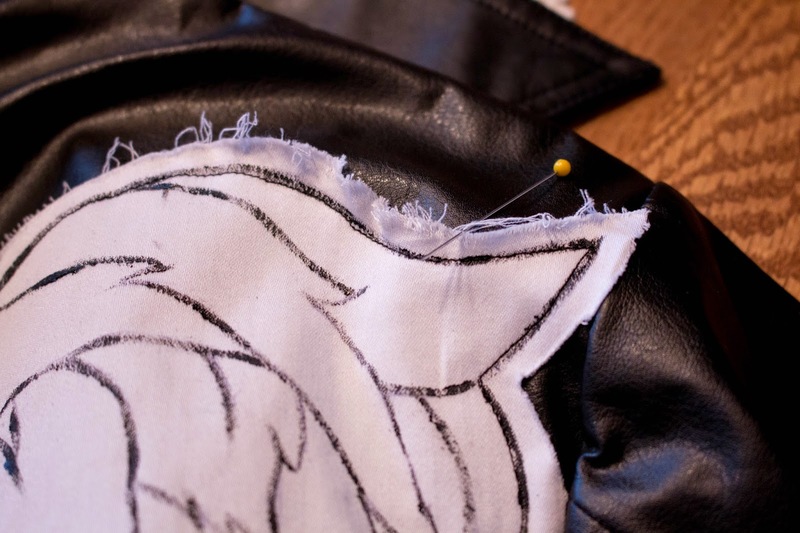 Then I cut out that outlined wing, but cut about 1/4" away from the outline (the outline will actually be the sewing line). 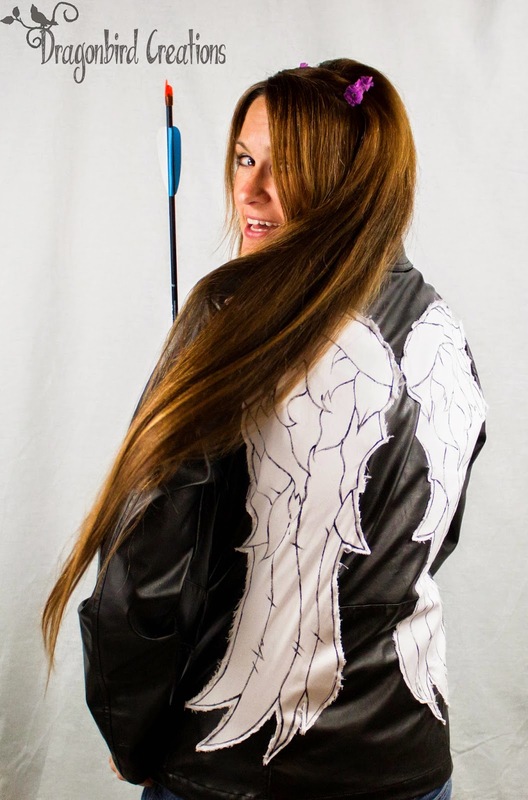 I pinned the outlined wing pattern onto the pants and cut out my wings-one leg of the pants made both of my wings (double layered and back to back-it was perfect). 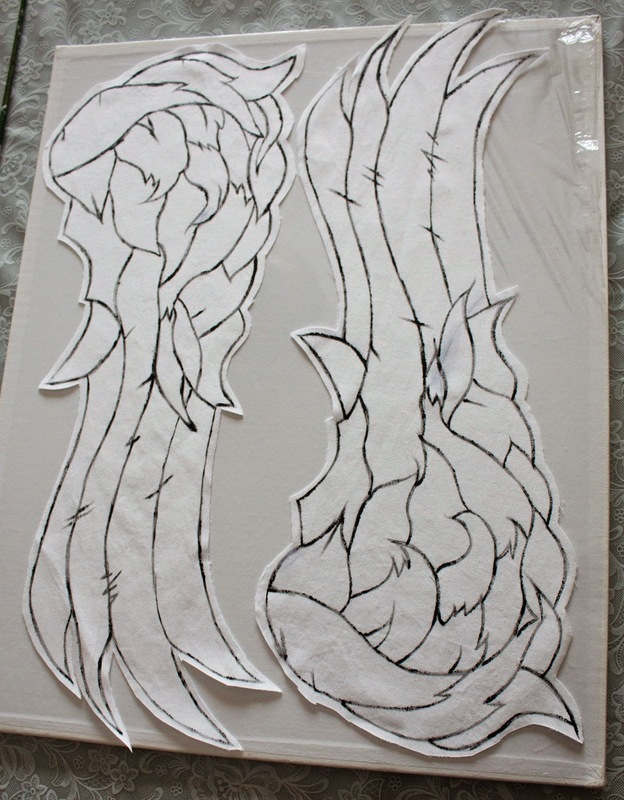 I took the other pattern of the wing, the one that had all the details sketched onto it and cut out, along the lines a few 'pieces' that I could trace over and onto my wings. I just traced lightly in pen. Then I took some black shirt paint and a paint brush and brushed over all my pen lines and let it dry. After it was dry I washed the wings and let them dry again (just to get the pen out) and then I ironed them. 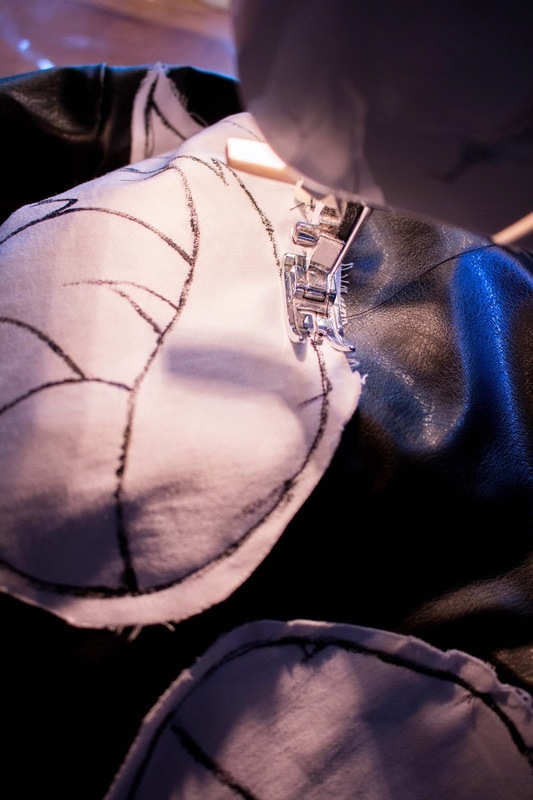 After pinning the wings to the jacket I used black thread in my machine and sewed along my outlines. Looking nice specially with wings it looks different.Thanks for your post. Please check out my site alsoBT contact numbers .I hope you like my site.